As we enter the fall and winter seasons, we can start to panic about gaining weight. It's that time of year. If you want to stop wearing your skinny jeans, start working out and get in shape. Looking for an effective workout that can grant you quick and lasting results? Your search is over, women's boot camp class in Salem, MA will deliver the best fitness results. Boot camp class is a fun and dynamic workout that is strategically programmed for women encompassing all fitness levels. The class is a series of various exercises that are metabolically demanding to torch fats and tone muscles at the same time. The program is a complete training to strengthen muscles, enhance flexibility and improve your energy. You will surely look and feel a lot better after training session as the workout can also improve your mood. Women's fitness boot camp training can certainly beat the doldrums and will leave you energized all day. With this workout, you can lose weight and get in shape in no time. Contact Salem Fitness Center to find out more about women's fitness boot camp. The biggest hurdle that prevents many people from getting started with their fitness regime is not having any idea exactly where to start. This is where a certified personal trainer can help. Personal trainers can create and demonstrate the best workout based on your current fitness level and your personal fitness goals. Hiring a personal trainer in Salem, MA is highly recommended for those who are new to the gym experience. Additionally, for those who have been working out for some time now, they may want to seek the help of a personal trainer to add variety to their workout and to help break through the fitness plateau. Hiring a trainer can help keep your workout consistent, keep you motivated, and help you reach your fitness goals faster. One of the main advantages of a personal trainer is to encourage you to push yourself to your limit. With a personal trainer beside you who will track your performance, you will be compelled to perform at your best. This makes your workout a lot more effective and uses your limited time more efficiently. Contact Salem Fitness Center to find out more about personal training programs. Today, women are no longer outside the ring watching others boxing and sparing. As a matter of fact, women are now engaging more and more in boxing training cardio workouts. This intense workout can rapidly raise the heart rate as it torches fat and builds muscle and stamina. The group exercise boxing drills in Salem, MA is the new workout craze for women. The footwork and punching moves enable participants to burn a large amount of calories while it tones the muscles. This is a total body workout that exercises both the upper and lower limbs while the core is challenged and strengthened. But, this exercise class also improves coordination and self-confidence. Burpees and squats are also incorporated into the routine, which makes it a workout packed with cardiovascular training. Boxing is a complete workout that maximizes your time in the gym. Moreover, throwing punches and jabs are a great way to release tension in the body. It's an excellent means to combat stress and clear the mind while you sweat. Regularly participating in boxing workout class will keep you physically and mentally fit. If you are interested in more information on boxing training cardio workout, contact Salem Fitness Center. Age-related memory loss is common. Studies reveal that regular physical activity can combat cognitive deterioration in seniors. To keep your overall mental and physical health, enroll in Sweating to the Oldies senior's fitness program. Sweating to the oldies in Salem, MA is an exclusive fitness class for aging adults. 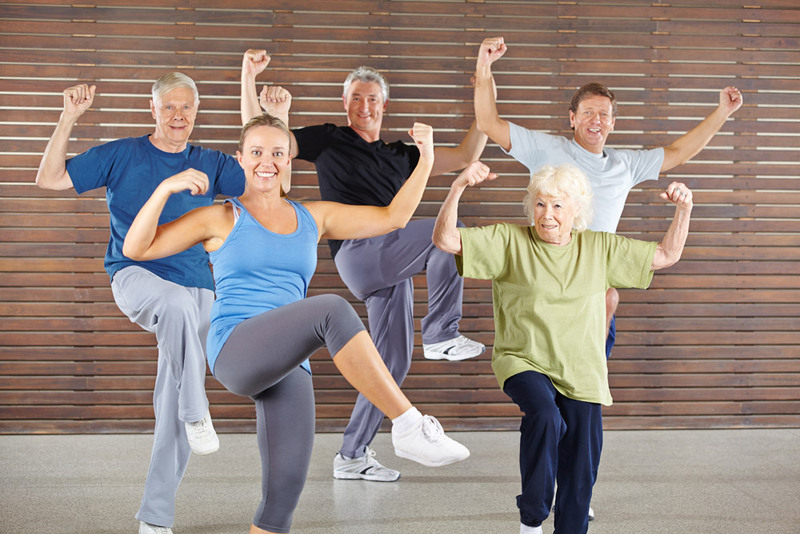 In this program, seniors participate in various fun and effective aerobic exercises. The goal of this fitness class is to improve lifestyle and counter physical and mental decline caused by aging. These exercises can help restore and maintain strength, improve balance and flexibility, and enhance the immune system. On top of that, it can help defy cognitive decline and other age-related issues. This senior fitness program is also be a great venue for folks to mingle, interact and stay social. Increasing social interaction also exercises the mind. When the mind is constantly working, brain cells stay healthy. Contact Salem Fitness Center to find out more about this senior fitness program.